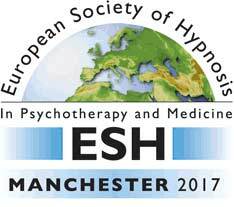 The ESH 2017 Conference will be held at the modern Hilton Manchester Deansgate. The Hilton is at the heart of modern Manchester, an integral part of a growing commercial and cultural community that has become known as the Convention Quarter. 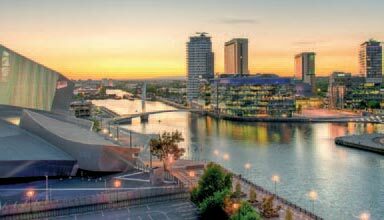 This vibrant square mile includes a wide range of hotels, Manchester Central Convention Complex, the Bridgewater Hall concert venue, multiplex cinema, museums and dozens of restaurants. The Manchester area has the most extensive motorway network in the United Kingdom. It is easily accessible by road, rail and air. Manchester Airport is a major international hub just nine miles (14.5km) from the city centre. Manchester is just over two hours from London Euston by Virgin trains, with departures every 20 minutes, and also has direct connections to most major UK cities. The city also boasts the UK's first modern street tram system. 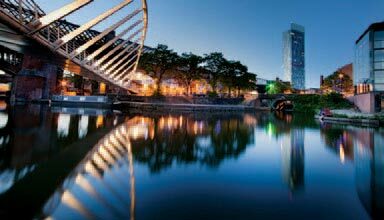 The city of Manchester has many attractions for its visitors, including museums, galleries, historic landmarks, shopping and architecture. In particular, Manchester is home to not one, but two world-famous football clubs. There are stadium tours available at both the Etihad Stadium, home of Manchester City, and at Old Trafford, home of Manchester United. If you would like to see what’s happening in Manchester from 21/08/17 to 28/08/17 please click here. If you are planning to stay on for a few extra days, there is an opportunity to explore further afield. 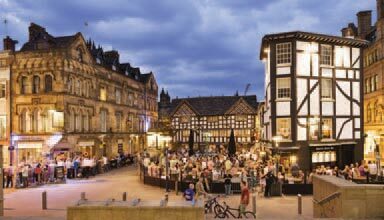 The historic city of Chester is of historical interest, as its streets reflect the influences of Roman, Norman and Georgian architecture. In addition, the Lake District, England’s largest National Park, is approximately 1½ hours by train from Manchester. For more information about Manchester please CLICK HERE. For more information on the surrounding area please CLICK HERE.